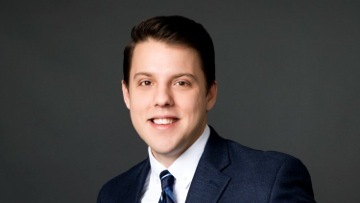 WFAA8 reporter Sebastian Robertson, who joined the Dallas-based station in September 2013, is heading west to Seattle’s KING-TV to join that station’s news staff. The Gonzaga University graduate joined WFAA8 from Austin, where he reported for the city’s Time Warner cable station. He was born in Lima, Peru but raised in Seattle. Both WFAA8 and KING-TV are owned by TEGNA, Inc. King is an NBC affiliate and WFAA8 airs ABC network programming. LOCAL TV NEWS UPDATE -- Former NBC5 morning anchor Marc Fein, who left the station in February, has landed at Baseball Nation. Fein said he’ll also be teaching at the University of North Texas as an adjunct professor.